Wetherby Whaler have been quick to offer assistance following an arson attack at Nethermoor. A recent fire damaged turnstiles, a roller shutter door, a kit room and the referees changing room. Soon after the fire David Finlay, kitchen manager at the nearby Wetherby Whaler, was quick to offer support, backed by his company. David said: “The company are prepared to help the club with the purchase of equipment lost that is vital to the club’s continued running of their popular school holiday football coaching courses, items such as bibs and cones etc. “We will do this through fundraising in branch with collection buckets and the selling of bags of sweets and other items. “We will donate the money up front so that the club can replace the lost items straight away and then we will be looking to our customers to donate towards this with collecting tins in the restaurant and outsales areas. 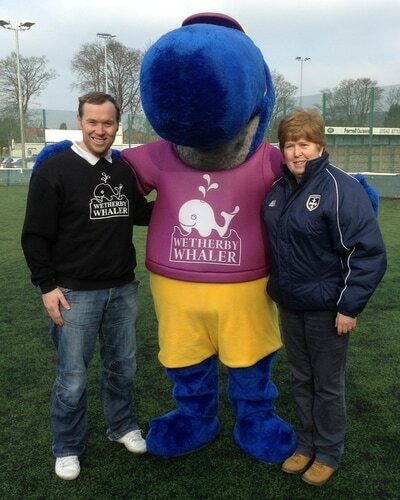 Trudi Hannaford, Head of Community and Development said: “We would like to thank David and everyone at Wetherby Whaler for their kind offer of assistance to replace items of kit damaged in the fire but not covered by our insurance. 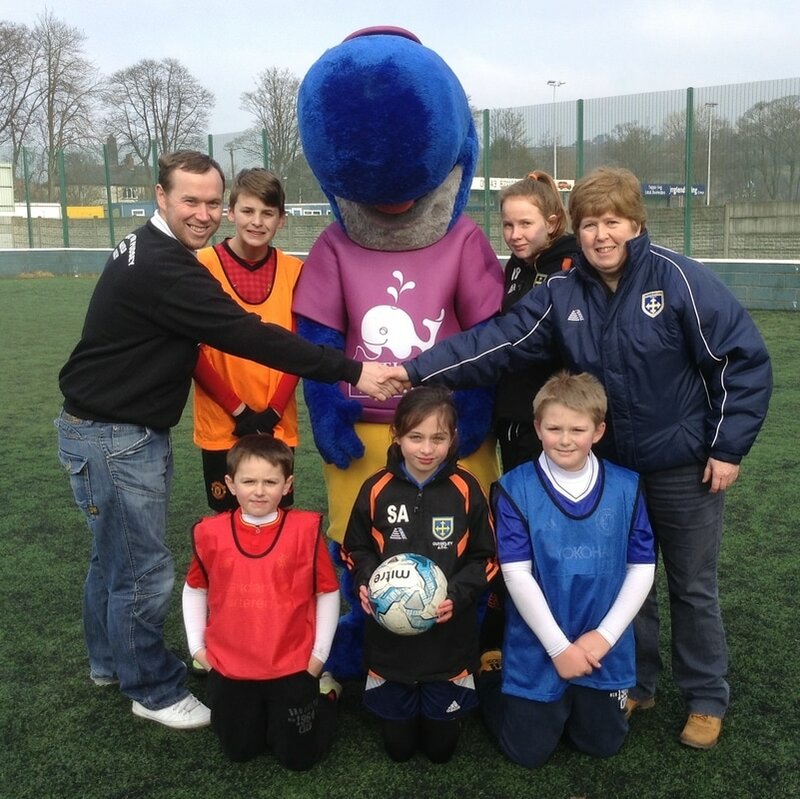 “These things such as cones, bibs and balls are vital to us continuing with our coaching courses for young people, the next of which will be held in the upcoming half-term holiday. 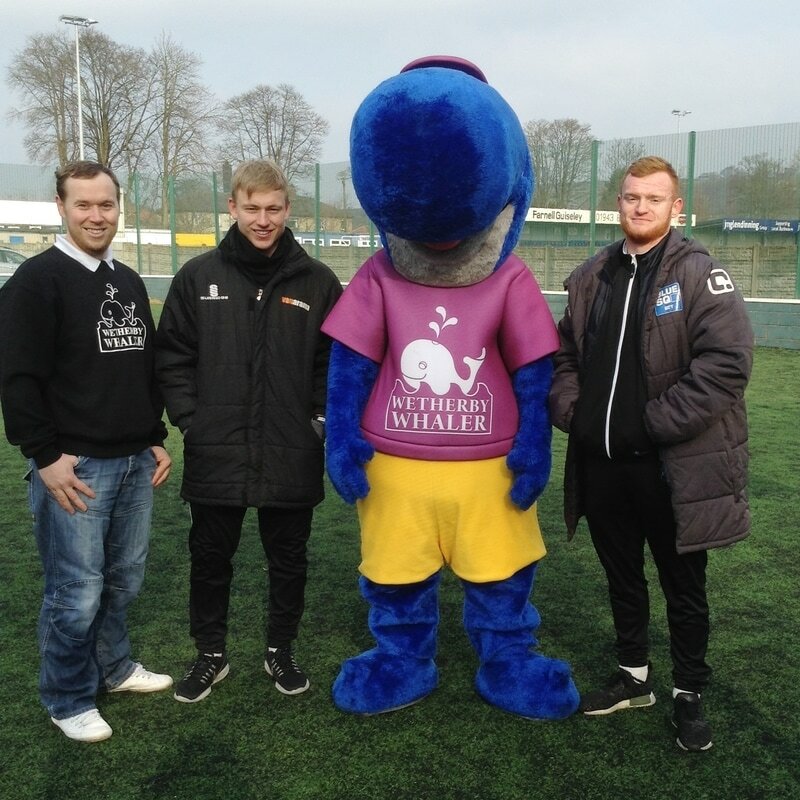 David and the company mascot Wally Whale turned up at the club’s half-term coaching course on their 3G pitch on Tuesday to show their support.